A black belt in karate is a badge of honor representing the highest level of skill. The “Karate Belt” Reward System uses different color guitar picks (similar to “karate belts”) to reward participants’ progress and motivate them to achieve their goals on instruments or music technology. 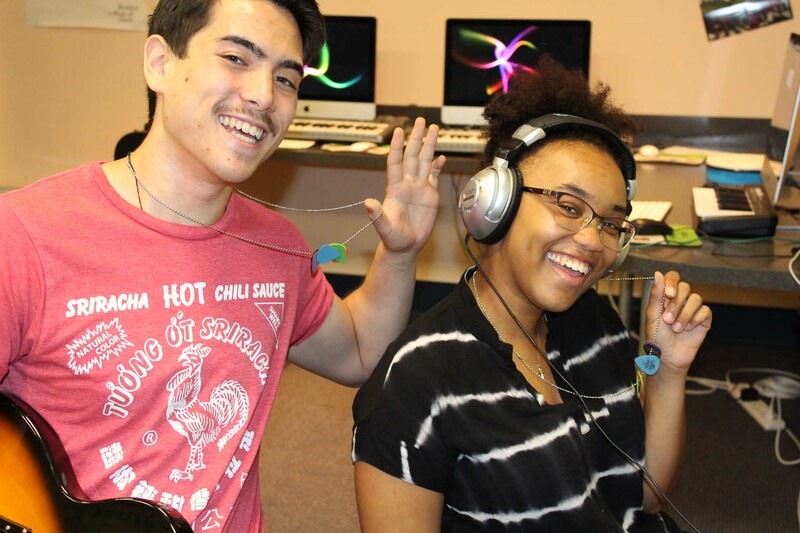 Determine what skills participants must demonstrate in order to “level up” on each instrument or music technology gear. Then print and display the “karate belt” requirements for each instrument. Create an incentive chart to visually track and help motivate participants’ achievements. With help from instructors, participants work to earn each colored guitar pick to add to their necklace. Note: If a participant earns their “Yellow” rank in more than one instrument, no need to give them another yellow guitar pick for their necklace. Instead, simply note their achievement on the incentive board. Participants wear their multi-colored guitar pick necklace that proudly displays their rank. The recommended equipment list below is an example that would serve approximately 30 participants. Your needs and quantities may vary (depending on # of participants).